There are about a million items on my list of things I love about Italy. I'm sure you can guess food and wine top that list- but coming in close behind are the gigantic doors and the amazing hardware that can be seen on almost every street and alley around. 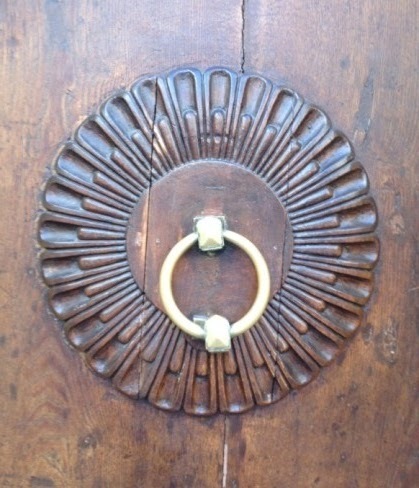 I started taking photos of almost every cool door I saw. 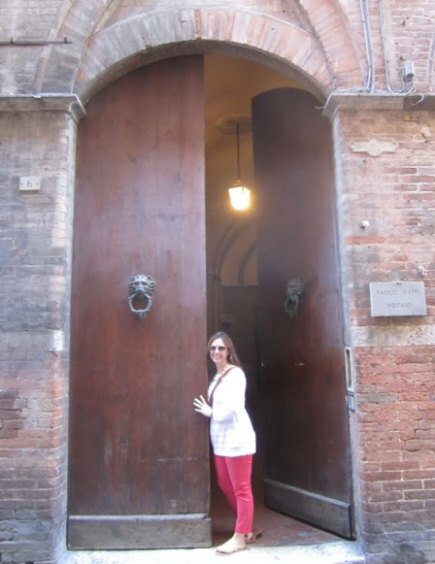 It became the running joke between my husband and me because I would basically have to stop every 5 feet to take another door photo. I seriously searched for a hardware/ metal works store everywhere! 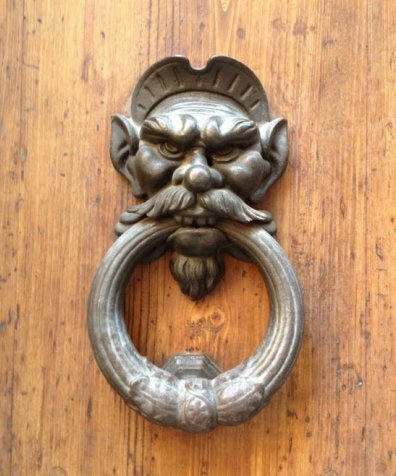 All I wanted was my own fun Italian knocker to bring home. 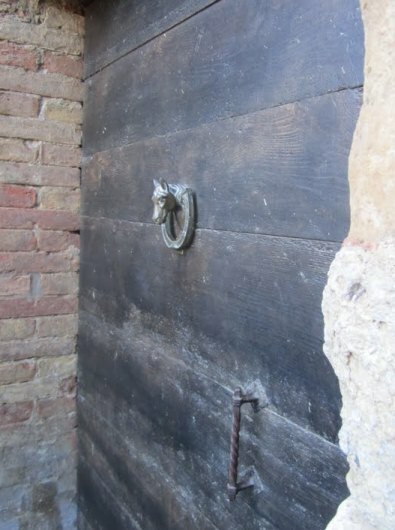 Obviously for the next trip I will do some researching beforehand, because I just can't leave Italy without my own knocker again. 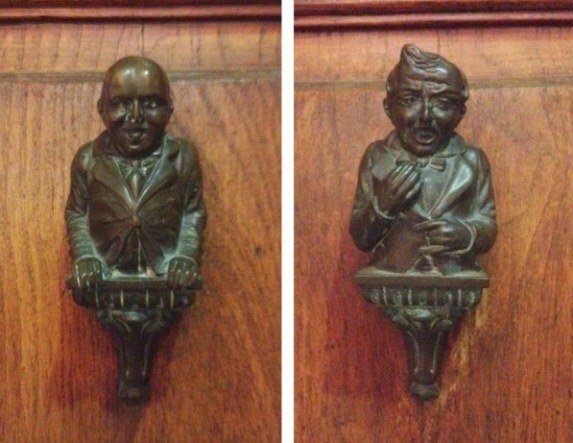 Hope you get to bring home some great knockers. Oh that sounded horribly wrong....but you know I just could not resist. LOVE these!! How awesome!! 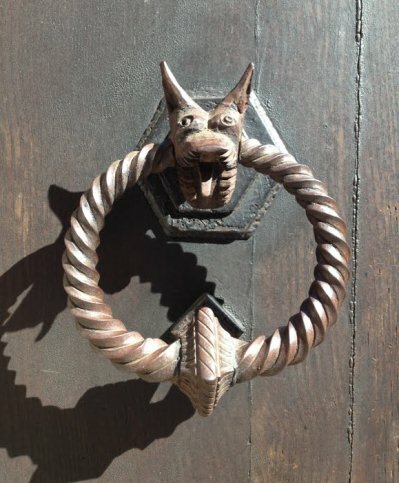 I want to go to Italy and bring home a door knocker too!! That would seriously be the best souvenir ever. I love how massive these doors are. these are totally awesome! what a bummer that you didn't find any (other than on the doors) while you were there! you totally need to bring one home next time. I love the ones you found! Patricia & Linda, how did I not think of knocker jokes? 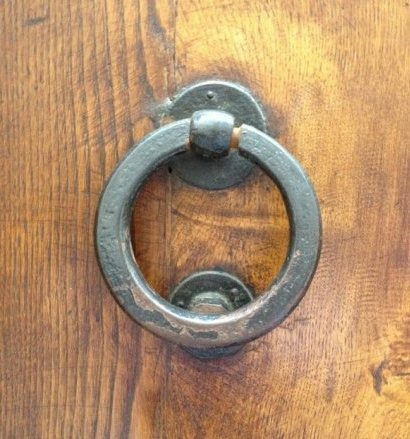 I am so out of it sometimes- funny because I should have realized I already have a pair of large knockers- I just need the kind for my door now! 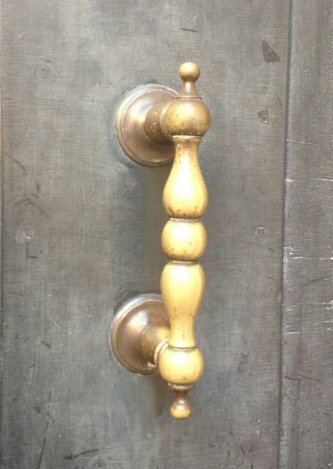 Oh my ... these knockers are beautiful!